This magnificent Writing Desk Cabinet would make an excellent addition to any living room, office or library. 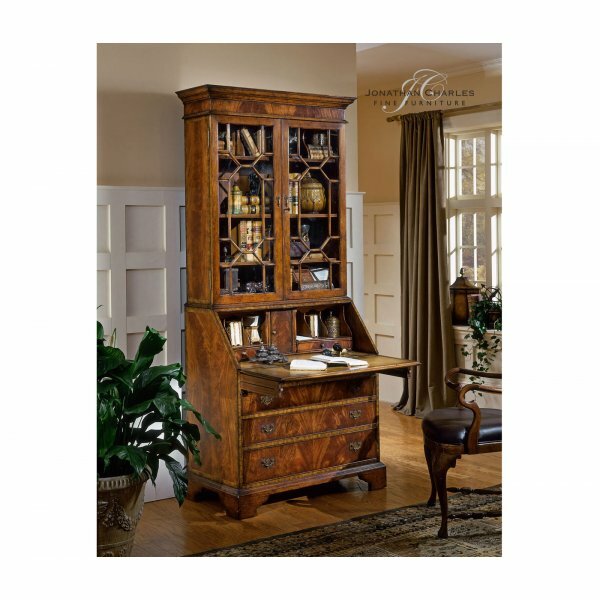 Elegant Georgian style Mahogany Bureau Bookcase with classical pediment features geometric glazing bars over the twin doors with three adjustable shelves within, the lower section with a fall front, fully lined curved interior with inset leather writing surface, and four graduated drawers beneath. Based on a Georgian style original of c. 1770. Our remarkable Mahogany Bookcase will last for years.